With your Almond+ beta/developer unit we supplied a few things and there has been some questions as to what is what, so we'll try to clear that up here. For 110V countries we provided a standard NEMA 1-15P plug. For 220V countries we provided an interchangeable plug adapter with EU (CEE 7/16 also known as the Europlug), UK (BS 1363), Australian/New Zealand (AS/NZS 3112) and Brazilian (NBR 14136) plugs. The different plugs are highlighted in the image below. The Almond+ ships with two stands, one desktop stand and one wall mounting bracket. The desktop stand will be changed for the final production units, as it's not quite sturdy enough when multiple stiff Ethernet cables are connected to the Almond+. 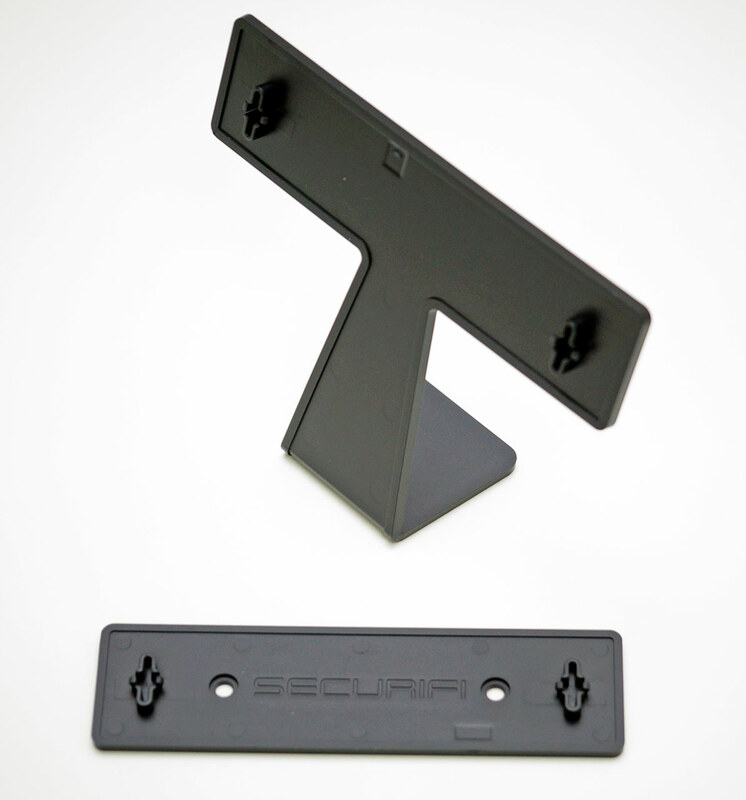 The wall bracket makes it easier to wall mount the Almond+, but requires an additional step described in the rubber feet section below. Most of the Almond+ beta and developer shipped without the rubber feet attached. There are four L-shaped rubber feet that fit inside the screw holes at the rear of the Almond+. There are also two smaller rubber pads in the box. 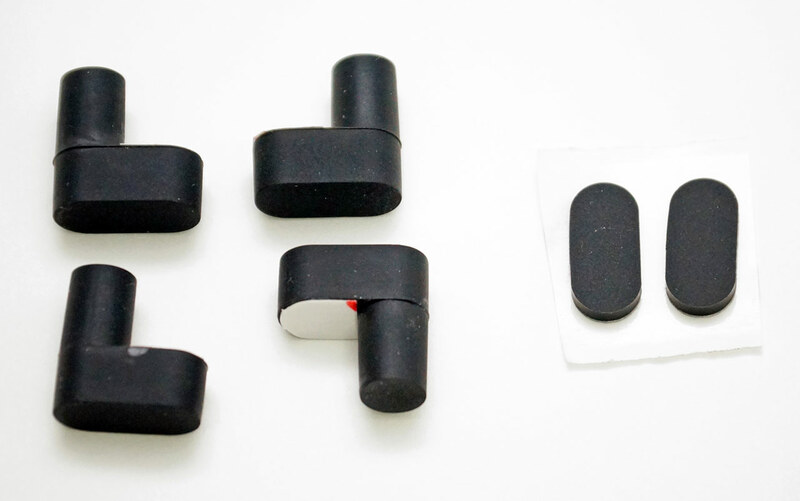 These are meant to be attached to the lower two rubber feet when the Almond+ is wall mounted using the wall bracket. Finally we have the debug kit. 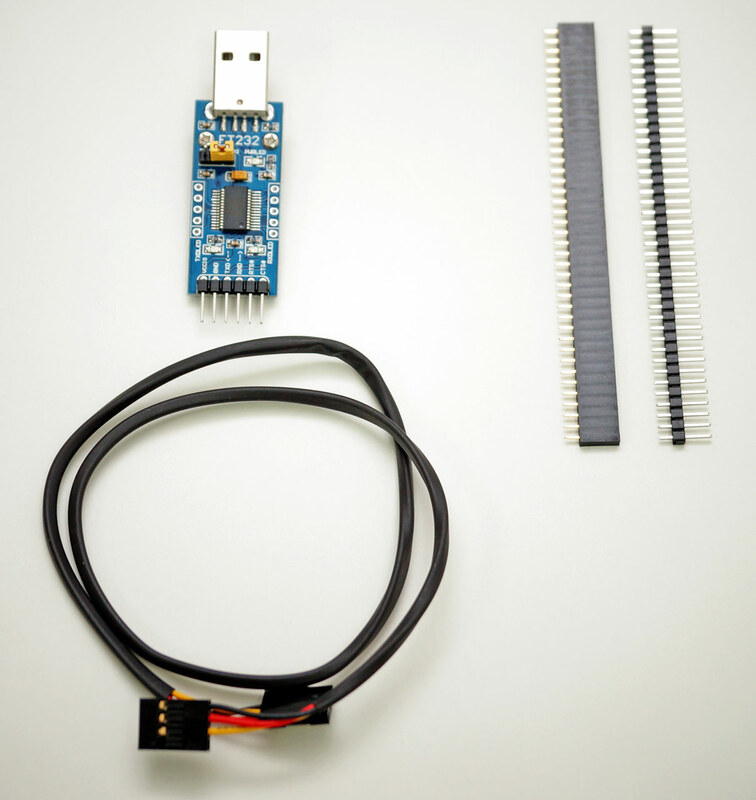 It consists of the FT232 USB to serial adapter, a three wire cable and in some cases, additional pin-headers (Berg strip). The additional pin-headers are simply part of the package we bought and aren't intended for use with the Almond+. That said, they can be used for other DIY projects in combination with the FT232 USB to serial adapter. This page was last modified on 21 April 2014, at 03:54.